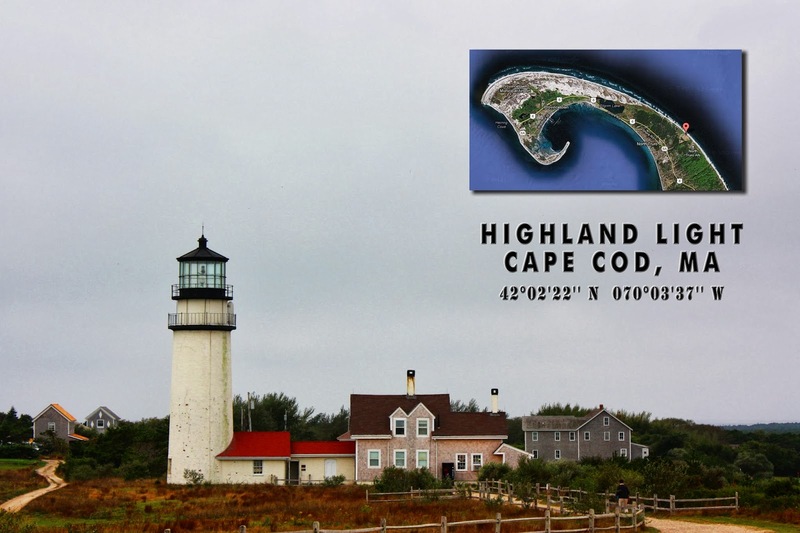 Postcard US-1829598 to Canada shows the Highland Light, the oldest and tallest lighthouse on Cape Cod, on the Cape Cod National Seashore in North Truro, Massachusetts. The photo was from my JetBlue AYCJ trip on September 24, 2010. The first primary lighthouse at this site was established in 1797. However, the latest lighthouse was moved 140 m or 450 ft to the west, away from the beach, to the present location in 1996, as it was in danger of falling off the cliff due to beach erosion. It was added to the National Register of Historic Places in 1987.